Kevin-Prince Boateng has snubbed Barcelona team-mate Lionel Messi by naming Zlatan Ibrahimovic as the best player he has ever lined up with. Speaking in a quickfire Q&A with Barca TV, the on-loan midfielder was asked a series of questions sent in by fans on social media. 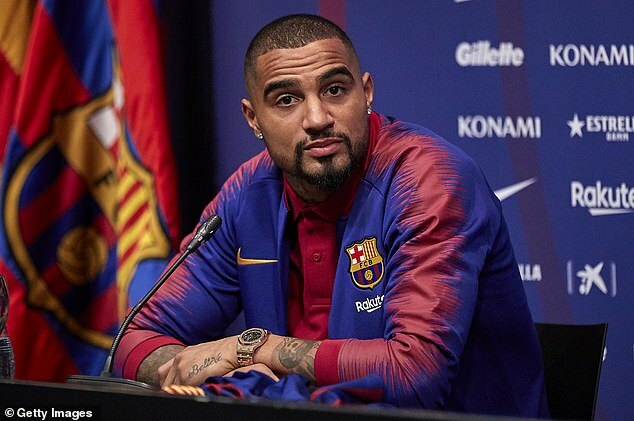 And Boateng, who sealed a shock move to Barcelona from Sassuolo in January, made the surprise admission that he believes Ibrahimovic is better than Messi. The former Tottenham star played alongside Ibrahimovic for two years at AC Milan, with the pair helping the club lift the Serie A title in 2010-11. Boateng has only made two appearances for Barca since joining in a £1.8million loan deal, meaning his time on the pitch with Messi has been limited. However, the 32-year-old did laud the Argentine as the best player ‘in this world and every world’ during his official presentation at the Nou Camp. Messi is widely regarded as one of, if not the, greatest player of the modern era after winning five Ballon d’Or awards and helping Barca to a period of huge success. The 31-year-old, who played alongside Ibrahimovic for a season at Barcelona, is the club’s record goalscorer and has lifted 31 trophies in 15 years. Boateng will get more of a chance to play alongside Messi if Barcelona take up their option to sign him permanently for £7.1m this summer.